Most people who know about the herb fenugreek are familiar with it as a cooking spice. In fact, its maple-like flavor is so pleasant that it's used as a flavoring agent in everything from foods to tobacco. But historically, fenugreek is actually most popular as a medicinal herb. It has been known for its ability to do everything from healing an upset stomach to lowering cholesterol. As far back as ancient Egypt, fenugreek was prized for its healing properties -- the first recorded use of fenugreek is described on an ancient Egyptian papyrus dated 1500 B.C. In modern times, fenugreek is most notably used for helping in treatments for diabetes and cholesterol related issues. A study published in the journal "Nutrition Research" examined the effect of fenugreek on diabetes. After taking 10g of fenugreek per day, diabetics showed better blood glucose control and tolerance. This was proven by a decrease in urinary glucose output and a better fasting blood glucose. This same study also showed benefits related to blood cholesterol. This herb may be one way to help stave off midday energy crashes, as well as help stabilize blood sugar and fight diabetes. Fenugreek has been shown to decrease the body's insulin response to food and help maintain normal serum glucose levels by slowing down the absorption rate of carbohydrates, thereby lowering the insulin requirement. As a result, it has also been shown to decrease the body’s insulin response to high glycemic foods. In studies, the unique galactomannan ratio of galactose and mannose in fenugreek reduced urinary sugar levels of participants by as much as 54%. Fenugreek may also inhibit the absorption of fats and aid in weight-loss by increasing the sense of fullness. 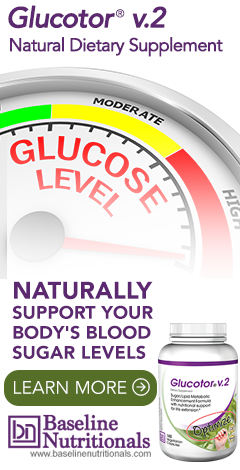 Studies have also shown that it can be effective at lowering post-meal blood sugar levels as well. In short, it can help prevent your blood sugar from spiking after consuming carbs. For these reasons, Jon Barron uses Fenugreek extract in his sugar/lipid metabolic enhancement formula. In addition to helping with blood sugar and diabetes, fenugreek also contains choline which has been shown to help aid the thinking process, slow mental aging, and also calm PMS and symptoms of menopause. It’s also used to promote the growth of new breast cells and increase the size and fullness of the breasts, in addition to being used to make synthetic estrogen. Fenugreek has also been used to treat both respiratory and stomach ailments. Specifically it is used for allergies, bronchitis, digestive ailments, constipation, emphysema, intestinal gas, gastrointestinal spasms, headaches, lung ailments, mucous congestion, and skin eruptions. It is specifically because of its ability to calm the digestive tract that Jon Barron uses fenugreek is his Liver Flush Tea formula. As a folk medicine treatment, fenugreek may be used by women who are breast-feeding to help promote milk flow. Some men may use fenugreek for hernia, erectile dysfunction, and other male issues. You can even use it as a poultice to help treat inflammation, muscle pain, wounds, and eczema. For medicinal purposes, you're likely to take advantage of fenugreek’s health benefits in seed form. You can find it typically in your grocery’s international section as whole or crushed seeds. It may have a slightly bitter taste and has a smell similar of some Indian food. You can use it to spice up any dish, from your morning eggs to your main meal. In supplements, you’re more likely to find the more concentrated fenugreek extract being used, rather than the whole seed. Read more on preventing diabetes here. I get a bit shaky and a clammy when I go 4 hrs without food, fenugreek eliminates that problem. Has for 8 plus years. I am intrigued by your quick note. I feel the same way too, 3-4 hours after a meal and desperately need to top up. In what form do you take fenugreek that helped avert this problem? Thanks in advance. I was told fenugreek could help with both my sinus's/allegies and for energy, I am concerned if I take it at bedtime for post nasal drip I may not sleep well. Can that be an issue? When I read the comment section of any blog I'm looking to find out more information. I am disappointed that an important question from April 16 2016 was not answered. We have no reply since we have little data on that particular question and it may also depend on the person. Why not try and if you sleep well, you have your answer?